These words encompass the true legacy and motto of JK Organisation - a 125 years old industrial conglomerate that has made a name for itself in myriad avenues. With a diverse portfolio ranging from JK Tyres Ltd, JK Sugar Ltd and JK Agri Genetics Ltd to Fenner (India) Ltd, JK Paper Ltd and JK Lakshmi Cement Ltd., JK Organisation has touched the lives of millions of individuals. Other feathers in our cap include the Raymond Ltd,, JK Helen Curtis Ltd. and JK Files & Tools Ltd. All products of the group being not only strong brand names but also reputed market leaders in their respective domains. 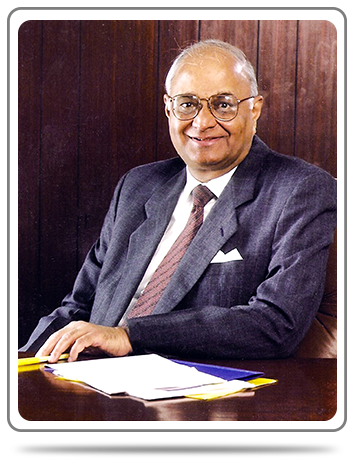 Under the stewardship of our Chairman and President Late Shri Hari Shankar Singhania, an instantly recognisable figure in the Indian business community, JK Organisation grew steadily and reached greater heights. A Padma Bhushan awardee and former President of the International Chamber of Commerce, Paris, Shri Singhania made significant contributions to trade and economic activities in India. Thanks to his vision and under the able leadership of his successors, JK Organisation is ushering in a new industrial era in India. Today, with a family of more than 40,000 employees and numerous manufacturing plants throughout the country, it is one of India's foremost business establishments. Under the aegis of such strong leadership, JK Lakshmi Cement Ltd., today is a well-established name in the Indian cement industry. And with dedication and commitment towards our work, we hope to make rapid strides towards greater success in the future.